One big part of seed sowing success is good timing. 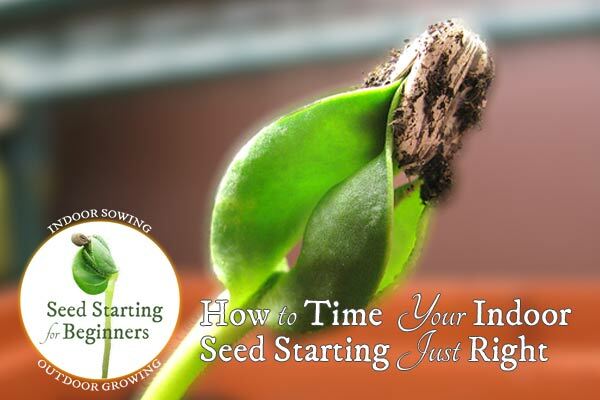 When you sow the seeds can determine whether your plants fruit or flower later. I will show two main things to watch out for, so you can get it right. It’s all in the timing! There’s two things we need to time right. First, the big picture. You need enough indoor and outdoor growing time combined to allow the plant to mature, before fall frosts set in. If you are growing annuals (herbs, flowers, or vegetables that mature within a single growing season, and are not winter hardy), there is a finite number of days available. Check your seed packet for listed days to maturity. Check how many days you have between last frost in spring and first frost in fall. Is it enough? If the seeds are started indoors, how many weeks before last frost (seed packet will tell you)? Does that additional time give you a long enough growing period? There are tomatoes that mature in just 50 days and others that take twice that. Some watermelons take so long they have no chance of ripening as the days shorten and become cooler in late summer. 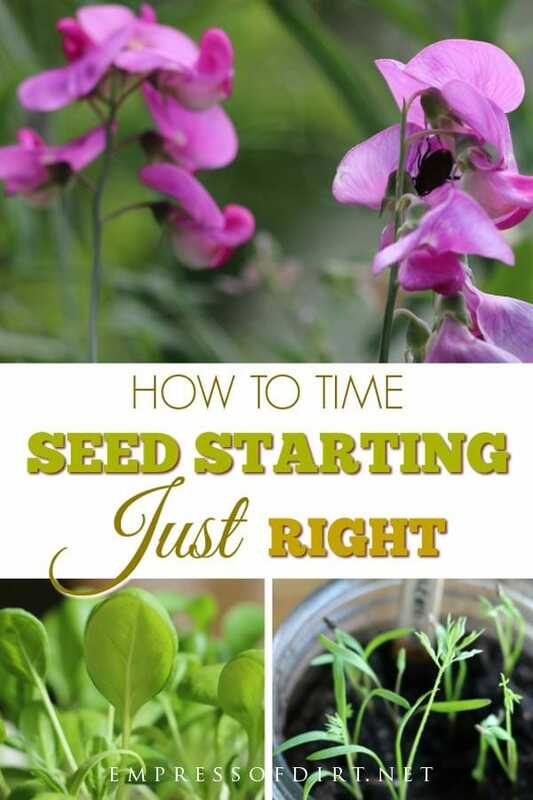 It’s all about choosing seeds with the right timing for your growing zone. If you are starting zone-appropriate perennials from seed, it’s not as urgent. Perennials are plants that live on for several years. Delphiniums are my favorite example. You simply need well-established plants in the ground before the frosts set in. Like the other hardy plants in your garden, they’ll go dormant in the winter and resume growth in spring. We want to start seeds indoors at the recommended times indoors, so we don’t cause other problems. If we sow seeds indoors too soon in late winter or early spring, you can end up with a lot of maturing plants that you do not have room for. As they grow, they need larger pots and take up more room under the grow lights, and that can be very challenging in a small space. 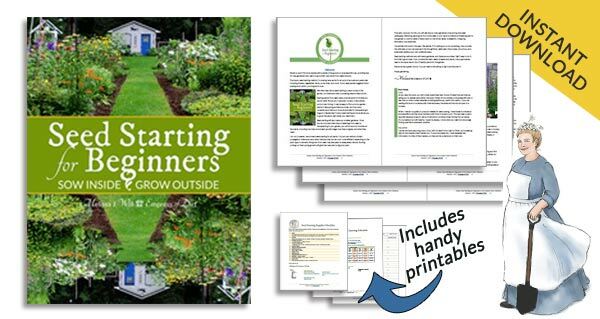 Better to grow things just in time, so they are strong enough to withstand the transition to life outdoors in late spring or early summer (depending on your growing zone), without taking over your house or demanding better growing conditions. If we sow seeds indoors too late, we’re cutting into the total days to mature and may not get fruit or flowers before first fall frost. Boo! 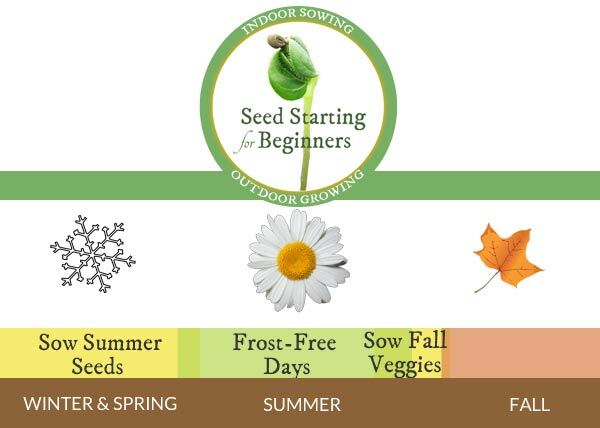 You can view and download my seed starting plan here showing the start dates for a variety of plants.